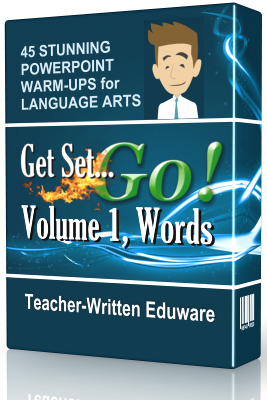 Get Set…Go!, Volume 1 is a stunning PowerPoint presentation containing 45 warm up activities and solutions for language arts students, grades 5-9. Although students may view this on laptops or tablets, this presentation is intended to be displayed via digital projector or SmartBoard. and a teacher’s checklist slide for tracking problems presented. display each problem just prior to students’ arrival for class. 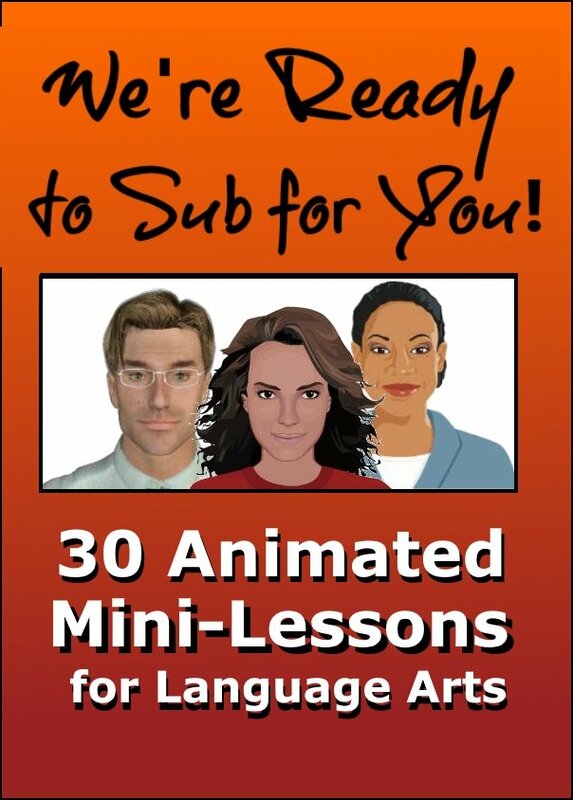 click the looping animation for each problem to engage student interest. allow 4-5 minutes for students to process and produce written responses. show the unique hint for each problem. display the solution slide for feedback and discussion. 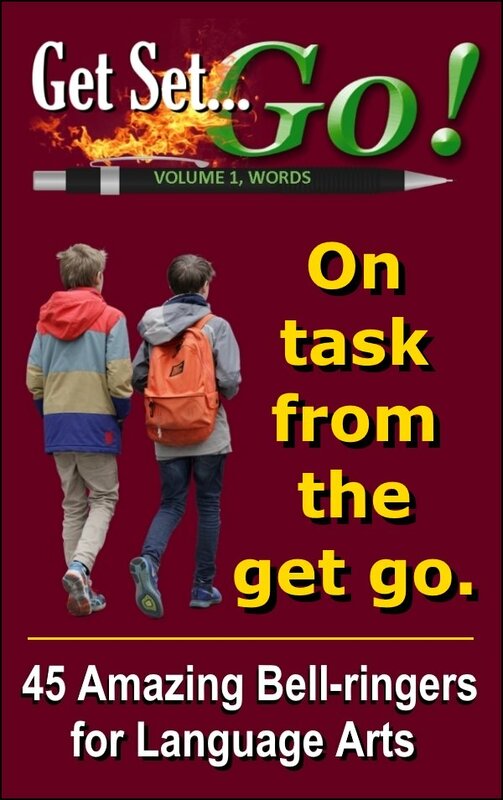 Like the other 3 volumes in this series, Get Set…Go!, Vol. 1, is compatible with all major browsers including Internet Explorer, Chrome, Firefox, Safari, and Edge. Although students may view this on laptops or tablets, they would have immediate access to solutions. Therefore, Get Set…Go! is intended to be displayed via digital projector or SmartBoard. A free, fully-functioning Demo Edition of Get Set Go, Vol. 1 is available for evaluation. The easiest and quickest way to check availability is to scan the top 2 or 3 posts on the News on Tools page. Thanks so much for your interest, and especially, thanks for all you do for our kids!